Myles Mitchell evokes the lyrical storytelling of Johnny Cash, the baritone vocal stylings of Jim Morrison (The Doors), and the sounds of West Australian blues and roots to create his own blend of Hip Shaking Alternative Blues. 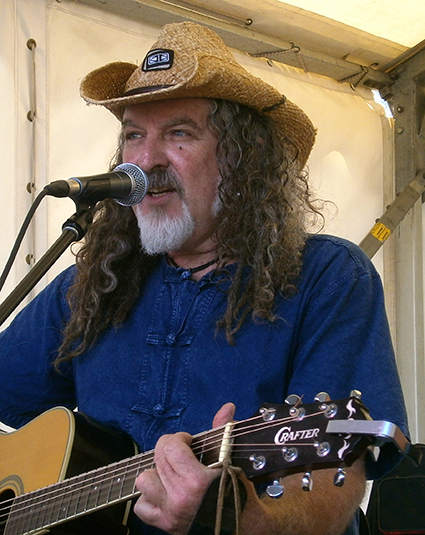 Born out of the Perth Blues scene and schooled on tour in the USA, Mitchell distils a rich array of life experiences and global excursions into his music. for all your last minute gifts and everything you need for the festive season. Grab a bite to eat and enjoy live music by talented local musicians – the ALOTCo Christmas Crackers and Fiddlers Green. Albany Light Opera & Theatre Company (ALOTCo) is an amateur musical theatre group based at the Port Theatre. You might have been lucky enough to have seen some of our recent productions: Mary Poppins; The Sound of Music; The Magic of Musicals; and Let’s Shine Together. For our latest endeavour we have put together a group of singers to sing an eclectic mix of Christmas songs for the enjoyment of visitors at The Boatshed Markets on the morning of Christmas Eve. Keep an ear out for a mix of Australian, traditional and jazzed up Christmas songs. Fiddlers Green is a trio of young violinists who play Celtic, Cajun and Bluegrass Fiddle music on top of their Classical studies. They have been playing together for several years after becoming close friends through a large fiddle group by the name of Just Fiddling. “We really enjoy the style of music as it is often fast paced and exciting, as well as giving us a break from technical work”. The three have played at several venues including the Albany Entertainment Centre and the Albany Club. Fiddlers Green are available for weddings, parties, anything! If you are interested in booking Fiddlers Green for your next function, please have a chat to Mike Hyder at the Market on Sunday. Images courtesy of ALOTCO Christmas Crackers; and Fiddlers Green. Versatility is Jack Kelly’s style. Bringing memories to mind with songs from the 70’s, 80’s & 90’s and original songs that have a rock/blues/country feel about traveling on the road of life. Image courtesy of Jack Kelly.